Last weekend, I watched with horror as events in Charlottesville unfolded. Having served as North Carolina Attorney General for 16 years, I am all too familiar with the racism, bigotry and full-out white supremacy that exist in corners of our society. But it was shocking to watch these elements displayed so publicly — venom and hatred shamelessly spewed in epithets. My stomach sank to learn that a peaceful counter-protester had been killed and many others injured as the hatred morphed into violence. It started with a monument, stone and metal, inanimate and yet more provocative now than ever. 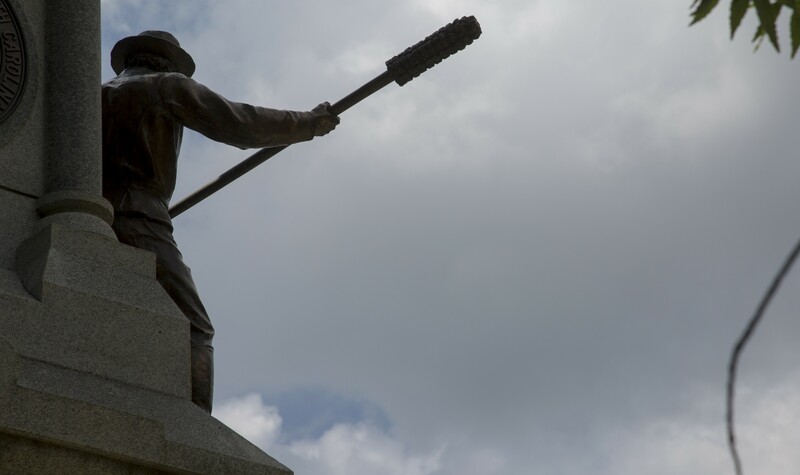 Charlottesville could have been Raleigh, or Asheboro, or any other city in North Carolina that is home to a Confederate monument. I don’t pretend to know what it’s like for a person of color to pass by one of these monuments and consider that those memorialized in stone and metal did not value my freedom or humanity. Unlike an African-American father, I’ll never have to explain to my daughters why there exists an exalted monument for those who wished to keep her and her ancestors in chains. Some people cling to the belief that the Civil War was fought over states’ rights. But history is not on their side. We cannot continue to glorify a war against the United States of America fought in the defense of slavery. These monuments should come down. Our Civil War history is important, but it belongs in textbooks and museums — not a place of allegiance on our Capitol grounds. And our history must tell the full story, including the subjugation of humans created in God’s image to provide the back-breaking labor that drove the South’s agrarian economy. I understand the frustration of those fed up with the pace of change. But after protesters toppled a statue in Durham Monday night, I said there was a better way to remove these monuments. My first responsibility as governor is to protect North Carolinians and keep them safe. The likelihood of protesters being injured or worse as they may try to topple any one of the hundreds of monuments in our state concerns me. And the potential for those same white supremacist elements we saw in Charlottesville to swarm the site, weapons in hand, in retaliation is a threat to public safety. It’s time to move forward. And here’s how I plan to do that. First, the North Carolina legislature must repeal a 2015 law that prevents removal or relocation of monuments. Cities, counties and the state must have the authority and opportunity to make these decisions. Second, I’ve asked the Department of Natural and Cultural Resources to determine the cost and logistics of removing Confederate monuments from state property as well as alternatives for their placement at museums or historical sites where they can be studied in context. Third, the North Carolina legislature should defeat a bill that grants immunity from liability to motorists who strike protesters. That bill passed the state House and remains alive in the Senate. The Senate should kill it. Full stop. Those who attack protesters, weaponizing their vehicles like terrorists, should find no safe haven in our state. Conversations about race and our past are never simple or easy. They are deeply personal and emotional. As President Lincoln said, we must do this work “with malice toward none, with charity for all, with firmness in the right as God gives us to see the right, let us strive on to finish the work we are in to bind up the nation’s wounds.” President Lincoln was on point: we must do what we know is right, and we must do it the right way. Roy Cooper understands the challenges facing our families and communities and wants to build a North Carolina that works for everyone.